Here we are at the last day of fabulous articles posted for the Scavenger Hunt this year. What a fabulous week it has been. Today's articles are all about Breastfeeding Myths. A Visit from the Stork - Breastfeeding Myths, You Can Do It! Simply Hayley - Sometimes Breastfeeding DOES Hurt! BaBaSlings has sent me a coupon code for 20% off their sling using BOOBIEMILK valid until Sunday. Breastvest coupon code - There’s a discount code each day, follow @breastvest to find them. Today’s is 3 for 2 using checkout code NBW342. KBB13 gives you 10% off at www.lactivist.co.uk up to the 30th June 2013. That will further discount special offers so you could grab some bargains! I can't count how many times I hear a Mum on a forum, facebook group or in a support group mention that they are unable to use a certain drug because they are breastfeeding. There are very few drugs that are incompatible with breastfeeding and in many cases a safer alternative can be suggested. Sadly, because trials are rarely approved for testing drugs on infants the research is scarce and a lot of conclusions are drawn from single case studies where a Mum has accidentally taken a drug while breastfeeding. There are some really great resources out there, people who are trained Pharmacologists that can give great thought to your specific situation and know what the drug is and what it could do and determine if the benefits outweigh the risks. In some cases, even though a drug may be harmful if ingested by an infant a pharmacologist may easily know that the drug molecule is too big to pass through to the milk and thus would pose little risk in usual circumstances. Because few tests have been carried out the majority of drugs usually tell you not to use them while breastfeeding. Many Doctors don't know the best places to look for answers and may err on the side of caution when prescribing drugs. If you want to continue to breastfeed and your health professional is telling you to stop so that you can take a drug, here are a few resources for you to use to make sure you are getting the right information. "The InfantRisk Center at Texas Tech University Health Sciences Center is a call center based solely on evidence-based medicine and research. We are dedicated to providing current and accurate information to pregnant and breastfeeding mothers and healthcare professionals. We are a training center for medical and pharmacy students and medical residents in the use of drugs in pregnant and breastfeeding mothers"
"The InfantRisk Helpline provides answers to questions about the use of drugs during pregnancy and breastfeeding. Please call us for information about the safety of using drugs, over-the-counter drugs, herbal products, chemicals, vaccines, and other substances"
This book is in it's 15th Edition and is published every other year (even). This book is a great resource to have in Doctors Offices, Maternity Wards, Midwife offices and at Support Groups. The link on the title will lead you to an accompanting website which can help you read the book to determine what medications might be better for you as a breastfeeding Mother. This is a reference book and should only be used to guide you towards taking the right drugs for your situation only with consultation with your Doctor. This helpline is run by a Pharmacist on a voluntary basis so calls are not always answered, but calls are returned. The website also has some great information sheets for commonly asked questions for you to print and take to your Doctor. LACTMED - "A peer-reviewed and fully referenced database of drugs to which breastfeeding mothers may be exposed. Among the data included are maternal and infant levels of drugs, possible effects on breastfed infants and on lactation, and alternate drugs to consider"
As I have stated above, you should always consider medications in partnership with your Health Care Professional. Howvere, don't expect them to have all the answers and while you are waiting for your appointment have a little read. Why not suggest that your local Doctors office purchase a copy of Medications and Mothers Milk. I know my Doctors office could really use one. The last time I asked for a prescription for my psoriasis I was prescribde a steroid that I was concerned about because I have psoriasis on my breasts. When I told my Doctor I was breastfeeding, her first reaction was to tell me that most people stop breastfeeding before their child is 2. The second comment she made was that I could look it up for myself to see if it was safe. Luckily, I have a Hale on hand to refer to, but many don't and this was a completely inappropriate expectation from my Doctor. 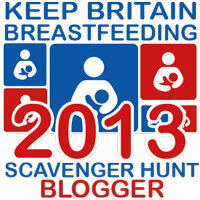 This post is part of the Keep Britain Breastfeeding Scavenger Hunt which is running from June 23-29, 2013 during National Breastfeeding Awareness Week. Over 40 bloggers and 25 companies are taking part. Bloggers will be writing about their breastfeeding experiences all week and there will be lots and lots of prizes up for grabs. Each time you read a post you will have the chance to earn points by entering the rafflecopter attached to the post. The more posts you read, the more points you gain. At 50 points you become eligible to be entered for the chance to win the main prize with over £1000 worth of breastfeeding goodies. Please enter using the rafflecopter below, and check out these other fabulous bloggers to read more about breastfeeding and to find more rafflecopters to enter. 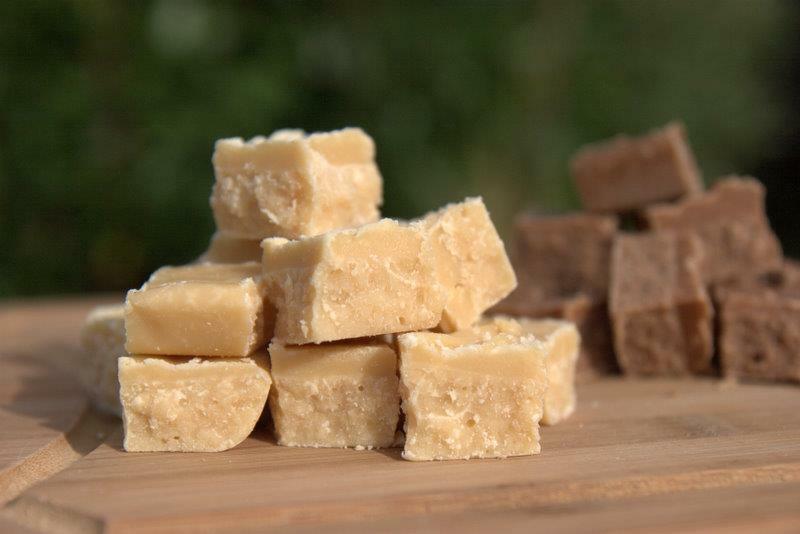 While writing this post and getting ready for the Hunt I have been chomping on some amazing home made fudge. Because I love this fudge so much I asked Chrissy to promise something for the Scavenger Hunt. She responded by offering £8 to spend on her home made fudge and chocolate (loved the Easter mini egg chocolate!). It may not be breastfeeding related as such, but I'm betting that 99% of the entrants in the Hunt will love fudge and you now know where to get some amazing fudge that I would call the best I've ever had. So, if you love fudge do go on over and like her facebook page so that you can see all the amazing pictures of goodies and hear about all the latest deals. You could even get favours for a wedding or kids birthday party (maybe it's too good for the kids, I know I don't share mine, it;s hidden in the wardrobe). Hinckley Yummy Mummy - Will I Make it to a Year or will Cheese get the Better of Me? Life, Love and Living with Boys - Breastfeeding Beyond a Year, 2 in fact! Mixed Bag of All Sorts - When Will I Stop Breastfeeding? The Secret Life of Kate - Yes, I'm still breastfeeding! Milk Machine Mum - Breast Milk Past One, Is It Just For Fun? Day 5 - Keep Britain Breastfeeding - Breastmilk Pumping! Here are the posts from day 5 of the Scavenger Hunt. Today we are talking about pumping. Day 4 already, here are all the fabulous posts today about positive nursing in public experiences and funny breastfeeding/expressing memories. Mummies Waiting - Feeding in Public! MamaScarf - I Love Breastfeeding Because!